Our Aerosol Air Freshener Dispenser is a sleek and stylish addition to any home that will leave each room delicately scented. 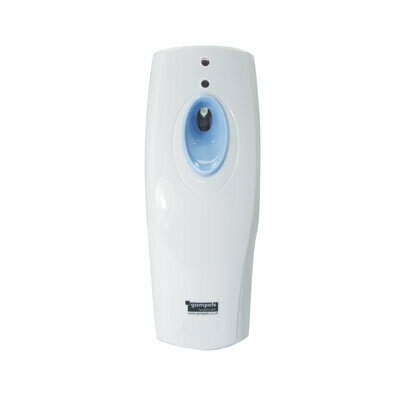 Ideal for use in contemporary rooms, this PR plastic freshener has 4 interval settings of 5, 10, 15 or 30 minutes and can also be programmed to release its fragrance at specified times throughout the day. The internal lock ensures prying hands won't be able to intrude while the lightweight and functional size is ideal for use in more compact or time-poor rooms. Choose your ideal scent for your Aerosol Air Freshener Dispenser with our range of Refills sold online today.